Our approximately 6,000 trucks in the U.S. log millions of miles every year, delivering product to thousands of locations across the country. As a sustainable retailer, we’re committed to exploring creative ways to drive trucking efficiencies that result in reduced emissions. For example, we’ve worked to advance tractor-trailer technologies such as electrification, lightweighting, improved aerodynamics and fuel-efficient tires. As a result, we’ve delivered 830 million more cases while driving 300 million fewer miles, an improvement of 84.2% over our 2005 baseline. 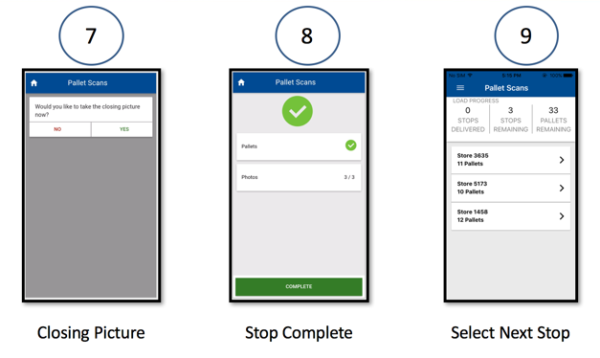 This particular case study reports on how the Transportation Mobility team created a mobile application to support reduced emissions and increased efficiencies for Walmartand 3rd party drivers. 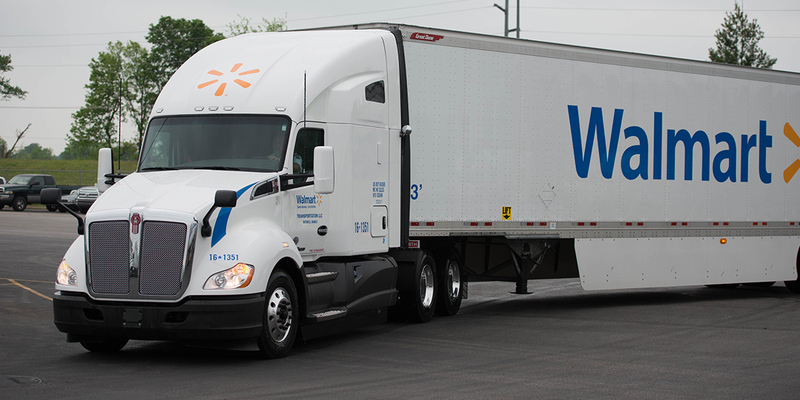 As drivers approach a Walmart distribution center, process requires them to stop at the security checkpoint, exit the truck and provide their load, trailer and tractor information. The AP officer then enters the trucker’s information into the Walmart system prior to opening the gates. This results in a 3-5 minute wait and wasted emissions. Walmart drivers do haul a large percentage of our freight from the DC to the store, or from the supplier to the DC, but they don’t haul all of our freight. That makes getting data from external sources a challenge as they may or may not have the capability to tell us where they are en route. This app is the first step in the direction of getting real time data on where trucks are, not just Walmart trucks, and what they are hauling for the Walmart network. 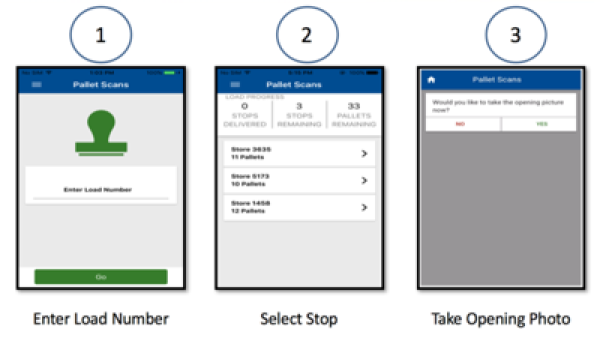 The Gate-In feature in the NTransit mobility app streamlines the delivery process to our distribution centers while eliminating paper and improving the receiving process. Drivers are able to ‘pre-gate’ before they arrive at the DC, which allows the drivers to enter their load, trailer, and tractor information before they’re in route to the DC. When the driver arrives at the gate, they present the embedded barcode to the Asset Protection (AP) officer and allow them to verify their entered information. While this is only one piece in the automatic gating solution, it is a very important step in the right direction. After meeting with the DC engineering teams, we were able to come up a possible solution which allowed the drivers to gate themselves in using a kiosk. This solution proved too cumbersome and costly as it would require installation of new hardware at each location. To better utilize existing hardware (on board computers in the truck, and tablets used by carriers) we settled on a mobile application. This application would allow the drivers to do as much as they could to gate themselves in, but still allows the DC asset protection team to perform the checks that they need to make sure security is upheld. 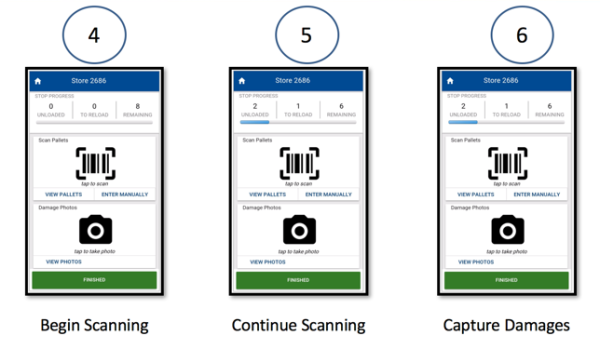 The Proof of Delivery feature in the NTransit mobility app ensures that stores are getting the merchandise they need while eliminating paper and improving supply chain visibility. zFAM is a cloud enabled distributed NoSQL Key Value Store (KVS) file system service in the z/OS environment. Kafka for broadcasting a stop complete event to let the downstream SAP process know that barcode scans are available for processing. The result of the NTransit app has been a 97% reduction in wrong pallet wrong store occurrences. Any reference in the NTransit case study to any specific commercial product, process, or service, or the use of any trade, firm or corporation name is for information and convenience purposes only, and does not constitute an endorsement or recommendation by Wal-Mart Stores, Inc.